Photo by: Fate Brewing Co. The new logos for McFate. Boulder, Colorado-based Fate Restaurants LLC, which does business as Fate Brewing Co., filed for Chapter 11 reorganization Thursday with the U.S. Bankruptcy Court for the District of Colorado. The company that filed a lawsuit against a Scottsdale, Arizona brewery accusing it of trademark infringement has filed for bankruptcy protection. Boulder, Colorado-based Fate Restaurants LLC, which does business as Fate Brewing Co., filed for Chapter 11 reorganization Thursday with the U.S. Bankruptcy Court for the District of Colorado. The company owes between $1 million and $10 million to more than 50 different creditors. 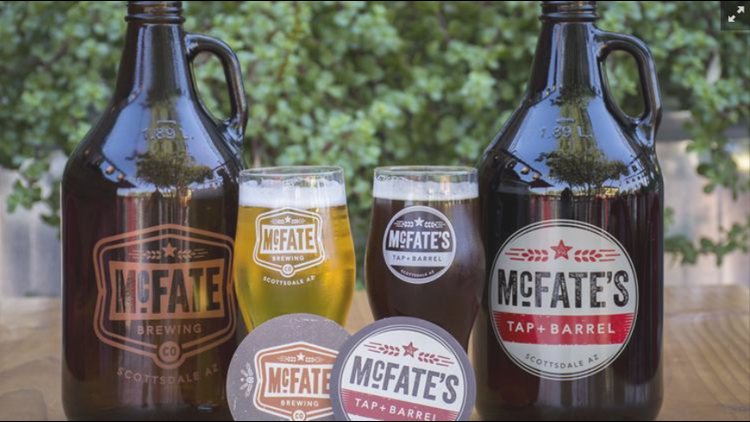 In 2015, the Colorado brewery filed a lawsuit against Scottsdale’s Fate Brewing Co., causing owner Steve McFate to change its name and rebrand its beer as McFate Brewing Co. in 2016. Fate filed the suit after a three-year, friendly coexistence. At the time, McFate told the Phoenix Business Journal the rebranding process cost him $65,000.